Have you thought of capitulation yet? 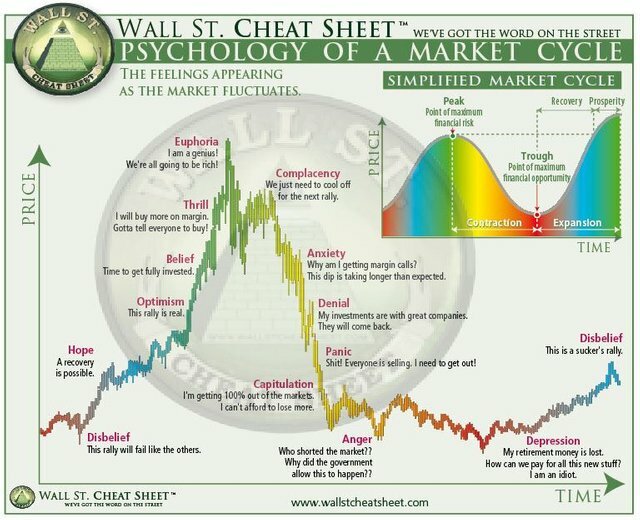 I think we may be going towards a capitulation phase. I think the market is about to start capitulation. 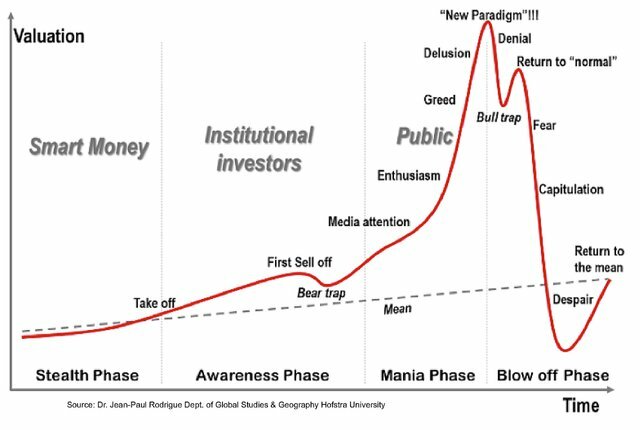 In many alts this has happened already, but not so for bitcoin. Capitulation is not a option to me. Well crypto market isn t doing that good but there is still a lot of hope. For example Crypto ETF s would add a lot of value to the market with big investors joining the crypto market. Also think one year back, there have been a lot of successfull ICOs. Well some already failed but there are multiple companys that will take some time untill they get successfull and add value to crypto. I think (or at least hope) that we are already beyond that point. I think we are in anger, close to depression already. That is the feeling I get from the charts and that is what I hear around me. I will never capitulate :) I am just buying more in this dip. I think the price will stay somewhat stable for a few months, and price rise may happen during december. However I think it won´t reach historical max at all, no more than 10 000 $ for Bitcoin and a similar proportional rise for most cryptocurrencies. Steem may have a higher price increase when Smart Media Tokens star working. no, no, pienso capitular, sere, paciente y esperare que mejore. @btc-dialog has set 0.500 SBD bounty on this post! @ropaga has earned 0.034 SBD. 0.034 SBD from the creator of the bounty and 0.000 SBD from the community! @frdem3dot0 has earned 0.061 SBD. 0.051 SBD from the creator of the bounty and 0.009 SBD from the community! @elbiasto has earned 0.171 SBD. 0.171 SBD from the creator of the bounty and 0.000 SBD from the community! @heyimsnuffles has earned 0.171 SBD. 0.171 SBD from the creator of the bounty and 0.000 SBD from the community! @celinavisaez has earned 0.013 SBD. 0.000 SBD from the creator of the bounty and 0.013 SBD from the community! Hi, it is very likely that the market will start to improve, there are historical facts and graphs that confirm it. I think the best time to capitulate is this, also if we are patients we can enjoy a great profit for the end of the year.